This interview was made almost ten hours before pro-Russian and anti-Junta people of east Ukraine rose up across the region, storming government buildings and starting the process for a referendum to ultimately rejoin with Russia. In the interview, Mr. Flores describes the reasons for secession and processes that will take place. Rather than seeing a Russian military operation, it is explained that the events last month in Crimea would serve as a template for the events that he predicts will occur in the rest of eastern Ukraine. Mr. Flores has consistently predicted that because Russia has far too many preferable ‘Soft Power’ options to use in Ukraine, that military intervention would only be a last resort, and only then in order to secure new positions already attained, through purely defensive maneuvers, through the use of the Color Revolution tactic by Russia. Russia has learned from the US’s use of Color Revolution and Arab Spring tactic, and has developed its ability to organize NGO’s in regions of concern or interest. While Mr. Flores correctly predicted that Ukraine would implode, and that the events the prior day in Donetsk were a strong indication that events would spiral extremely quickly, it was not foreseen that in fact those very same events would transpire later on that same day. This entry was posted in Multimedia, Strategy & Tactics, Theory and tagged 4PT, Alexander Dugin, Arab Spring, Atlanticist, Center for Syncretic Studies, Color Revolution, Dugin, Eurasianism, Eurasianist, fourth position, Gene Sharp, geopolitics, geostrategy, interventionism, Joaquin Flores, NGO, Social movement. Bookmark the permalink. Good interview. 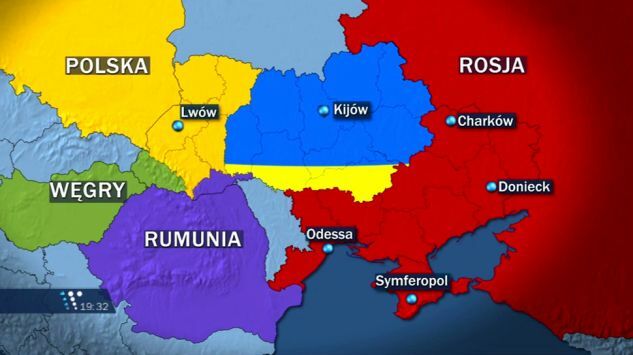 By the way, do you know where that map of the new Ukraine came from? I saw it in an article about Zhirinovsky’s proposal, but it seems strange to have that stretch of Poland reach Russia. Thanks! This map has been floating around our circles since February, and unfortunately I’m unable to source it. The map does depict the Lviv Oblast going over to Poland, this area does have a considerable Galician population which has fraternal ties to Galicians of south Poland. This is acceptable given that Polish leadership will change hands and go in the direction of being friendly to Russia. This was the trajectory already in play before the CIA downed the Polish president’s plane in 2010, taking out much of the Russia-friendly leadership in Poland. The ‘yellow strip/stretch’ which touches on Russia is actually a little misleading, its a different shade of yellow than the Poland designation, and is supposed to be the color yellow of the Ukrainian flag. Ah, I see. That makes sense. I had seen this on Twitter and didn’t notice the difference in yellows. By the way, now you have me interested. Where can one find info on how the Polish plane incident was a Langley production? It initially seemed to me that the Germans, US, and Russians were on board with getting rid of a nationalist regime. Actually, was there even a plane, or was it in that general vicinity? It looked like a coup d’etat. Yes, it was a coup d’etat backed by NATO. I am in regular contact with Polish nationalists of two distinct trends (one pro NATO, the other pro Eurasia), as well as Polish communists. From what I can sort out, Russia did not benefit from the beheading of the elite in 2010. They had worked several years on that. There was a plane, and it did go down, but there was some sort of explosive used to down the plane. I remember coming to that conclusion, but I won’t be able to revisit the documents which led me to that view until and unless I sit down to write something definitive on it. In short, because the Polish leadership was soft on their Russia friendly position – though more pro-Russian than any Polish government since 1988 – they had enough disagreements to give some support to the view that Russia may have not found them perfect enough to keep around. Still the Law and Justice Party, plus their cabinet members and Lech Kaczyński, were soft Euro-Skeptics. This conforms to the general Kremlin policy of supporting centre-right soft euro-skeptic parties. The coup was internally supported by and benefited the pro-EU Civic Platform. They were the same people in power before the Law and Justice Party, and now after the coup. In final analysis, while allowing that things don’t normally go fully as planned, I still look at ‘qui bono’ in looking at who did what. With an understanding of the publicly known orientations and connections of the people involved, and who supported them, I would rely on more specific or lesser known information in the event that something unusual happened. Thanks for the explanation. My thinking had been that the primary culprits were the EU, but that Russia went along for some reason, such as gas in Poland or some favor. It is strange that Russia did not really present much of a case to the English-speaking world about what had happened. Maybe they did in Polish and Russian. Russia does go along with certain things in the public realm, such as 911 or the recent Malaysian plane. They probably use their intel capabilities to show things to important players in countries, but do not want a public fight. Then there is the issue that elements of Russia may be compromised or guilty themselves. One wonders about the Kursk, for example. 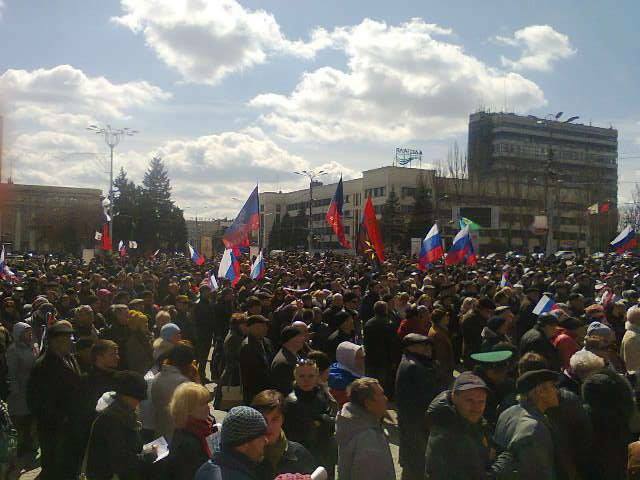 You might want to address the issue that many make, such as vineyardsaker, that the Russian authorities want to downplay the uprisings in the Eastern Ukraine, and it is really the citizens there who are having to do the heavy lifting. In other words, the color revolution may not be with much Russian help. I am unfamiliar with this persons work unfortunately. 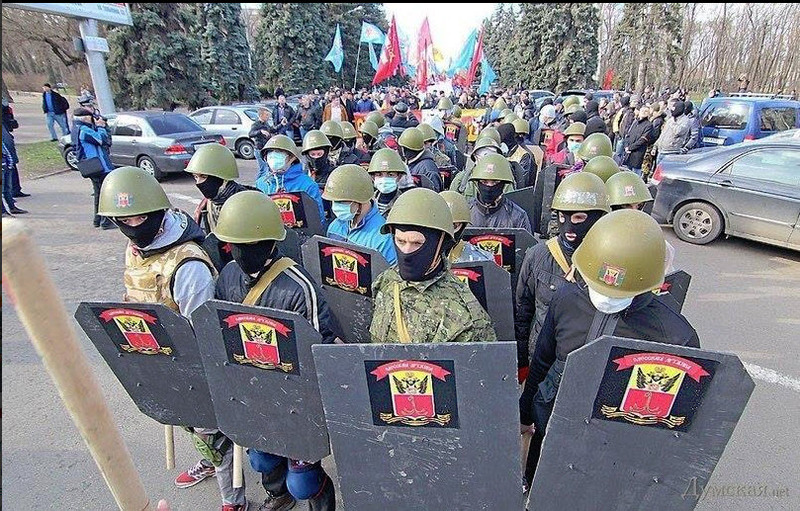 However, my view – since I am a member of some of the organizations on the ground in East Ukraine, this is a Color Revolution + Arab Spring tactic being used by the Russians. Naturally for PR purposes and to counter more damaging disinfo type analysis that one could draw from the reality, it is necessary for Russia to not be seen as ‘orchestrating’ the situation in east Ukraine. 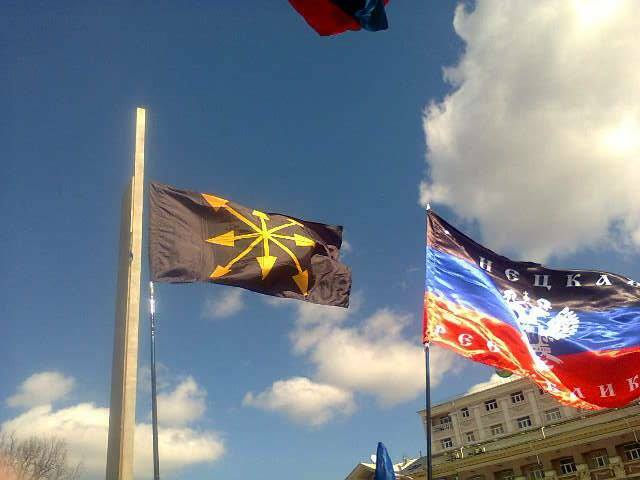 But it is supporting the moves for those parts of Ukraine to have a referendum and then join the Russian federation. Still this was the outcome of the US blunder and going against their European partners in the EU. This is different from the US Arab Spring tactic in which the US itself caused the original spike in perishable consumer goods markets in the region by using the cash printed for QE1 to corner the market. An observed pattern indicates that uprisings are all but inevitable when food prices exceed the nominal FAO-UN index figure of 210 when combined with a government with decreased legitimacy in the public eye. This crossing of the threshold was accomplished in February 2008, and after Egypt and Syria could no longer afford to subsidize the difference after 2010, we saw uprisings. These were basically food price protests, but western backed NGO’s on the Otpor! model were used several years of organizing and PR/spin management to create a different situation both within those countries and in the western mind. He is from a Russian emigre family to Europe and worked in the anti-Soviet complex for a long time in things like war planning. He is now of the view that the US and USSR have largely traded places. I suspect you will find many things on his site to be of value. He recently interviewed Nebojsa Malic, for example, regarding the Yugoslavian wars. His general take is of an Orthodox persuasion, and sees the Anglo-American-Zionist complex as being Satanically inspired.